From buying ink cartridges and paper to spending money on repairs, the team at Laser Line know it costs a lot of money to maintain office equipment. To make the process easier, and save your company money and resources, they suggest adopting a managed print services plan. Since 1989, the Jessup, MD-based printer company has been providing businesses throughout Maryland, Washington D.C., and northern Virginia with the right office copiers and printers for the job. Streamline The Process: More often than not, it’s up to several departments to take care of supplies and the day-to-day maintenance of printer equipment. If these individual groups never interact, you could be spending money on unneeded supplies. Using managed print services will streamline the process. A representative will monitor printing volumes to ensure you have ink and toner when you need it. If equipment ever breaks down, they will provide repair and maintenance services at fixed rates — saving you a lot of money in the long-run. Reallocate Resources: When you experience printer or copier breakdowns, chances are you ask the IT department for help. 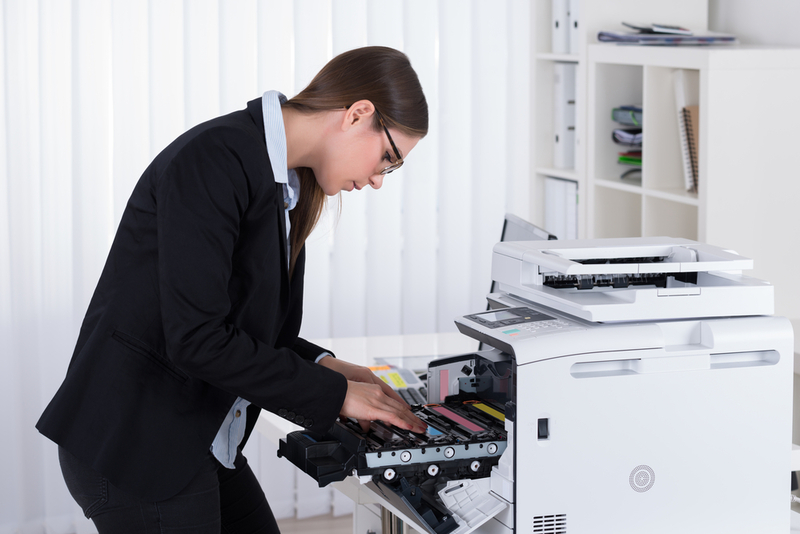 Because managed print services provide repairs, you can use the IT team for other initiatives. Get Rid Of Unnecessary Hardware: Office equipment uses a lot of electricity, which means you probably have high utility bills if each employee has their own printing device. A managed print services representative will provide a thorough assessment of all hardware to let you know what’s unnecessary. They’ll also take into account the monthly volume produced by each machine. Reducing the amount of hardware will save on supplies and energy costs. If you need help managing your printing operations, the team at Laser Line is ready to assist. They have a wide range of office copiers and HP laser printer options available and will provide maintenance and repairs when needed. To learn more about printer options and services available in Maryland, northern Virginia, and D.C., call (410) 636-1700 to speak with a representative or visit their website for more information.